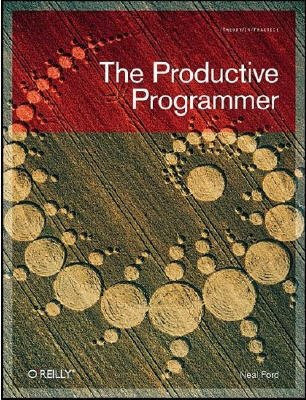 Neal Ford, "The Productive Programmer (Theory in Practice (O'Reilly)) [ILLUSTRATED]"
Anyone who develops software for a living needs a proven way to produce it better, faster, and cheaper. The Productive Programmer offers critical timesaving and productivity tools that you can adopt right away, no matter what platform you use. Master developer Neal Ford not only offers advice on the mechanics of productivity-how to work smarter, spurn interruptions, get the most out your computer, and avoid repetition-he also details valuable practices that will help you elude common traps, improve your code, and become more valuable to your team. You'll learn to: Write the test before you write the code Manage the lifecycle of your objects fastidiously Build only what you need now, not what you might need later Apply ancient philosophies to software development Question authority, rather than blindly adhere to standards Make hard things easier and impossible things possible through meta-programming Be sure all code within a method is at the same level of abstraction Pick the right editor and assemble the best tools for the job.